Data#3 has been selected to provide Azure migration services as part of Microsoft's Modernisation Factory in Australia. Microsoft developed the Modernisation Factory to support customers, including Federal and State Government departments, to migrate their on-premises infrastructure and workloads to Azure, with the model initially prioritising server migrations. "As Microsoft’s largest Australian partner, this is a great achievement for the team," said Laurence Baynham, CEO and managing director at Data#3. "Cloud migration can be a challenging task for any company, and our skilled experts have the proven technical capability to help customers with their transformation goals. "From a strategy and vision perspective, Microsoft and Data#3 are in alignment, and this is good news for customers seeking to move to Azure." Data#3 was awarded the deal after successfully completing a selection process that involved eight separate workload migration scenarios. "The team was proud to hear that it had delivered the highest rated technical response," said Phil Redmond, general manager for service solutions at Data#3. "Data#3’s tailored approach to service migration and unique methodologies place us at the forefront." According to the IT services provider, it utilised a highly controlled and restricted lab environment, with the goal of validating capability across migration proficiency, risk remediation, and migration limitations. Data#3 successfully completed all eight scenarios within the allocated timeframe. 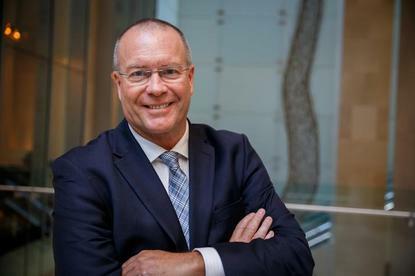 "The Modernisation Factory will provide a faster solution to update and future-proof legacy IT workloads, ensuring a successful migration for Data#3’s enterprise and government customers," added Steven Worrall, managing director at Microsoft Australia. Data#3 is the second Microsoft partner to join the Modernisation Factory in Australia, with Veritec being appointed in September. Meanwhile in May, Data#3 announced it was now able to deliver services and solutions via Microsoft's Azure Australia Central cloud regions in Canberra, a move that would see the local integrator substantially ramp up its public sector play. The Azure Australia Central regions, in Canberra, are the vendor's Mission-critical cloud for Australia and New Zealand, offering security and compliance certified by the Australian Signals Directorate (ASD) for unclassified and protected data.